Patriots owner Robert Kraft (right) with President Trump aboard Air Force One on Sunday. Patriots owner Robert Kraft and President Trump apparently spent quality time together on Sunday. 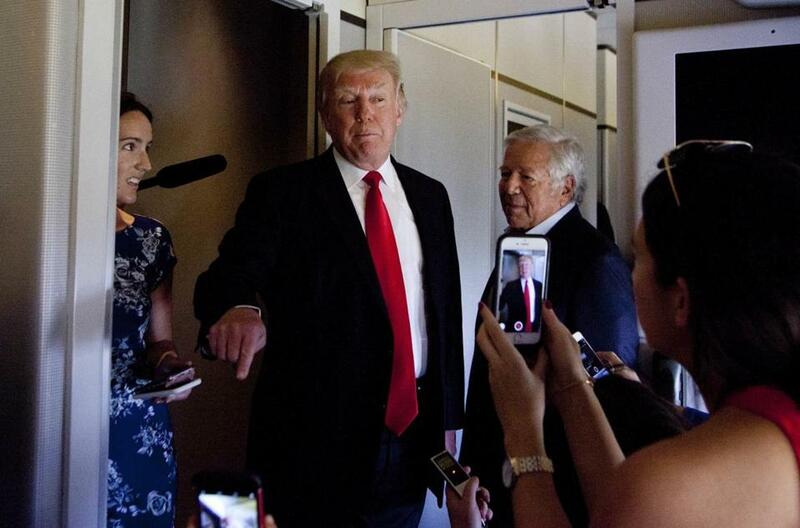 Kraft was spotted in a small group with Trump at the Palm Beach International Airport in Florida on Sunday afternoon, as well as aboard Air Force One. Kraft, who was sporting black canvas Nike sneakers, was introduced to the press as “Bob Kraft” by the president before boarding the presidential plane with Trump. Kraft was also seen following Trump into the White House shortly before 7 p.m. Sunday. The move came after Trump spent the weekend at his Mar-a-Lago estate in Florida — where Kraft in February joined Trump, Prime Minister Shinzo Abe of Japan, and their wives for dinner. The friendship between Kraft and Trump has been well-documented. Kraft has acknowledged that he has been friends with Trump a long time, saying Trump was there for him after his wife, Myra, died from cancer in 2011. 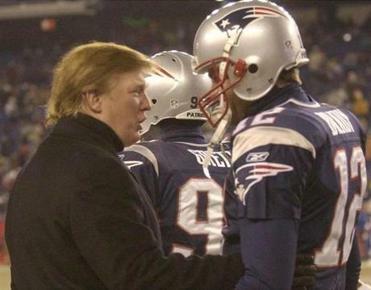 As the team heads to another Super Bowl, some fans aren’t happy with the ties that Tom Brady, Bill Belichick, and Bob Kraft have with President Trump. “He called me once a week for the whole year, the most depressing year of my life when I was down and out,” he told the New York Daily News. 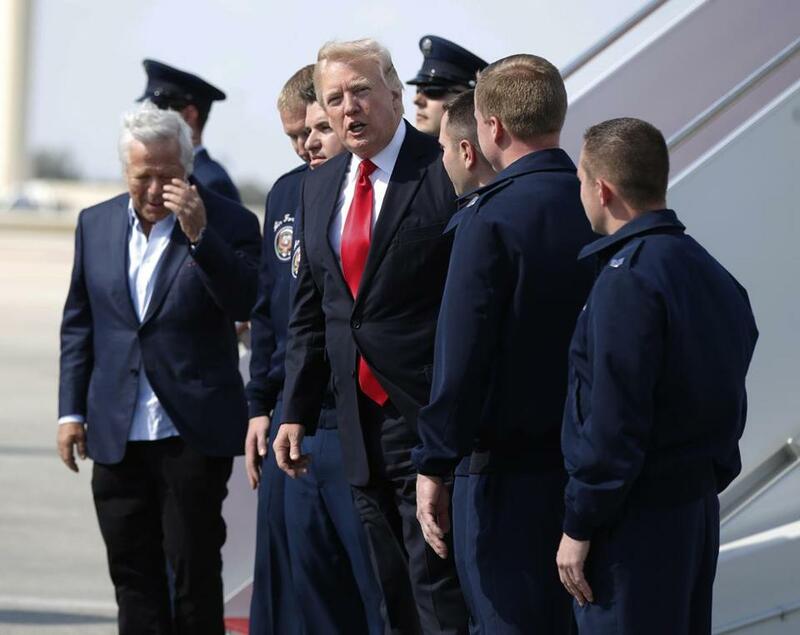 Patriots owner Robert Kraft (far left) was spotted with President Donald Trump before boarding Air Force One in Florida on Sunday. Previous wire and Globe staff material was used in this report.